Rice is stated as the seed of grass species known as Oryza Sativa. A large part of the world’s human population consumes this cereal grain as staple food on a regular basis, particularly in Asia. With regard to human nutrition and caloric intake, rice is the most important grain providing more than one fifth of the calories consumed worldwide by humans. 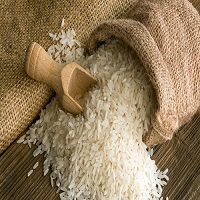 A widespread adulteration is noticed in basmati rice in order to increase the margin of profit. Parmal rice, which is similar to basmati rice, is found to be mixed with basmati rice grain by the traders.